Achieve your goals with our flexible learning experience. The Bachelor of Applied Arts and Sciences (BAAS) degree is designed to offer students with workforce education, vocational-technical training and/or professional experience in occupational fields the opportunity to obtain a baccalaureate degree. Such experienced professional/vocational students may obtain credit toward this degree via regionally accredited college-level course work and/or certain types of professional and educational training. Students who pursue the degree are required to complete the academic core requirements, thirty-six hours of advanced credit that is complementary to the vocational-technical or professional area, and any additional hours necessary to meet the 120-hour university requirement as stated in the catalog. We would like to hear from you! Please complete this online form. Before a student can be admitted, the student must arrange an interview with the Director or Academic Advisor of the BAAS Program. 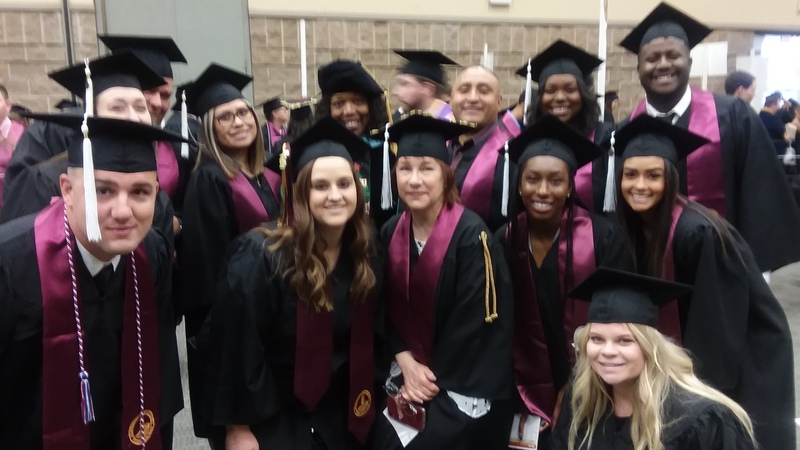 BAAS students are limited to not more than twenty-five percent of their total semester credit hours in courses transferable to a program in a school of business and not more than fifteen semester credit hours in business school courses completed at Midwestern State University. However, students may select a minor in Business Administration with the approval of the Dean of the Dillard College of Business Administration. Students currently enrolled at Midwestern State University in a designated degree program who satisfy the intent of the mission statement and have at least a 2.5 GPA will be allowed to transfer to the BAAS degree program. Exceptions to this policy will be considered on an individual basis by the BAAS Director. In such cases, the student must submit to the BAAS Director a petition letter accompanied by a letter of recommendation from an advisor in the student’s current major. All transfers from another MSU program must complete at least 12 hours under the BAAS program at MSU to be eligible to graduate from the BAAS program.